Feature Reposted from NylonMag.com. The original article can be viewed here. This jewel colored swallow tail slip dress is my new party go-to dress. I’ll be wearing it with a messy pony and velvet choker for the festive season and beyond! I adore our new moody floral jagged rose print! Style it sweet with pastel cocoon knits and fluffy accessories or give it some edge with a black longline lace kimono and biker boots. For all those currently mourning the loss of summer and cursing the autumnal equinox this evening, keep this in mind: Fall is pretty awesome. Just think about it: You won’t feel like you’re melting on your walk to the bodega, fall clothes rule (hello layers), you can leave that handheld spray/fan water bottle contraption at home, fall clothes rule (cozy cardigans + long sleeves), there is more to life than the beach (as much as it pains me to say), and did I mention…fall clothes r u l e? 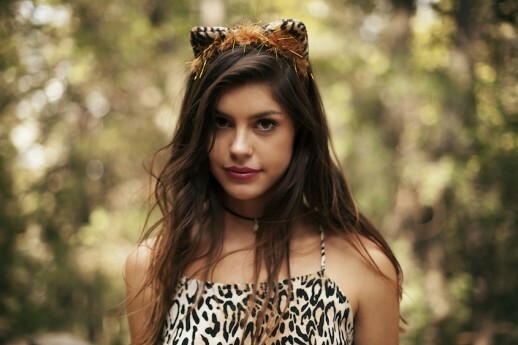 At the forefront of awesome fall collections is indie UK label Motel. For their autumn ’14 lookbook, the brand took their totally awesome collection on a woodland retreat. And even though you’d never expect to pack printed minis, metallic foil slips, textured gothic cardigans, and leopard trousers for a weekend camping excursion, you have to admit that it somehow works. Chalk it up to the collection’s versatility, or the ’90s-inspired styling, but we’re ready to relive our Girl Scouts days, ankle boots, chokers, and minis in tow. Get a first look in the gallery, complete with styling tips by designer Hannah Parker. Then shop the looks here. Cute! Love this playsuit. Killa babe vibez. I team this with an oversized fluffy black knit cardi, black tights and a choker. It’s play time! For ultimate wild child babe steez go clumpy boot, dark lips and nails. Killin it! It’s all about metallics this season! This boxy fit tee is a wear-everywhere piece and the crackle glaze finish gives it an instant AW14 update. Dress for some day to dawn cool. I’d team with a chunky heeled boot and a kimono style duster coat. #HOT. Don’t save the sparkle for after dark, this high-impact dress is attitude packed and works well with chunky boots and a battered biker as it does with towering heels. Head turning style guaranteed. 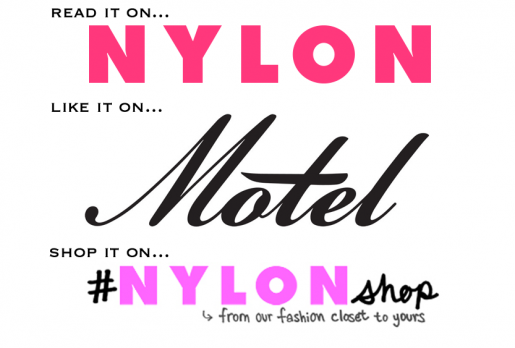 Click here to shop directly from Motel Rocks or head to shop.nylon.com! Take a look at Zeda’s portfolio here and follow her on Instagram!